Description: Action: Semi Auto - Gauge: 12 - Chamber: 3 - Capacity: 4 - Finish: Matte Black Chrome - Stock: Adjustable Black Synthetic - Chokes: Includes 5 (FIMMICC) - Length of Pull: 14.5 - Barrel Length: 30 - Overall Length: 51.5 - Weight: 7.6 lb - The 712 Target is built for the trap field and is a perfect choice for the price-conscious shooter. It also makes a great starter gun for new shooters. 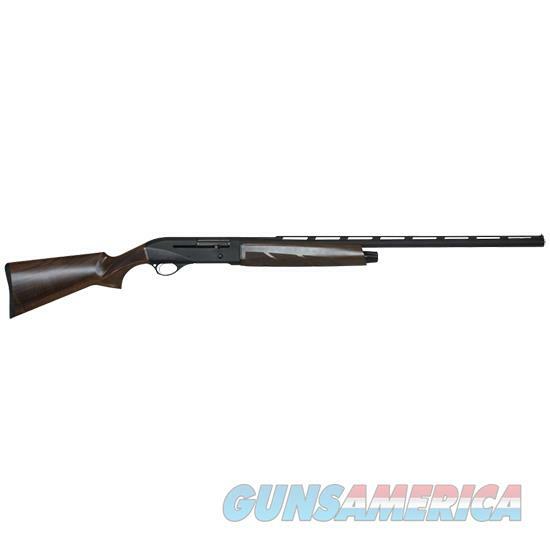 This 30-inch 712 is equipped with a larger target style stock that provides a comfortable fit. When combined with the soft-operating gas system it makes recoil almost nonexistent.